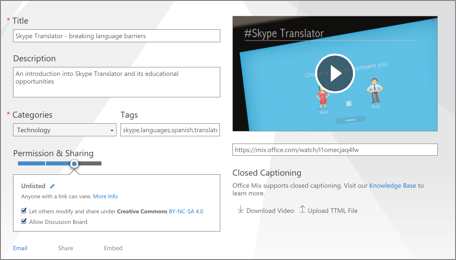 Presenting with a touch of "Mix"
Office Mix allows you to easily create and share interactive online videos. This free tool allows to add annotations to Powerpoint presentations, record voice & webcam, download the video or share online. Powerpoint is still the most used tool to create presentations. 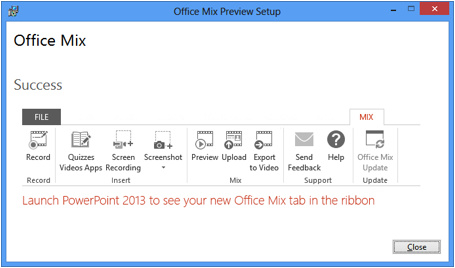 Thanks to this add-in called Office Mix it offers even more opportunities, especially for education. 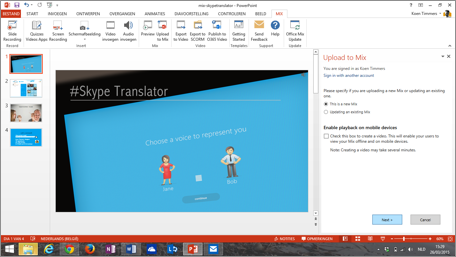 Office Mix allows to add annotations to Powerpoint presentations, record voice & webcam, download the video or share online. Launch PowerPoint. A new tab "Mix" appears on the upper right top. Mix offers some cool new features: creating screen records, screenshots, inserting audio & video and adding quizzes. The coolest feature however is called Slide Recording. 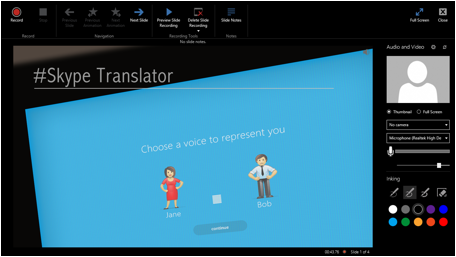 This allows to create a recording in which you are presenting the PowerPoint presentation. While recording you can turn on your webcam, annotate and -obviously- speak. After saving you're able to share this multimedia presentation online. Automatically a navigation will be added (which allows easily navigating between the slides) and you will be able to see the analytics: how many users have been taking a look at your presentation, individual slides and how many times did they succeed to pass the quiz. Let's create our first screencast via Office Mix. Create a new PowerPoint presentation or open an existing one with several slides. Hit the button Slide Recording. Your screen turns black. At the right side you are able to enable the webcam and microphone. Hit the button Record. Instantly the video will start recording. You are now able to draw on your screen, in different colors (= annotating). You're able to navigate between the slides using the button . You can focus on parts of your screen by annotating. Once you're ready, hit the stop button. In case you want to add quizzes (survey), audio or video, you better add these objects in advance (so before recording your screen). You are now able to download your presentation as a video. But there's also the option to publish your mix online. Hit the button Upload to Mix. Sign in with your (free) Microsoft Account. Eventually you'll get the message "Show me my Mix". You'll be referred to your mixes online, in the browser. Another option is to navigate to https://mix.office.com. Hit My Mixes. You'll need to finish the procedure by adding a Title, Description, Tags and choosing the category and Permission settings. You are able to share the Mix via Email, Social Media and link. The Embed features offers HTML-code (iframe) which allows to embed the mix in your website. 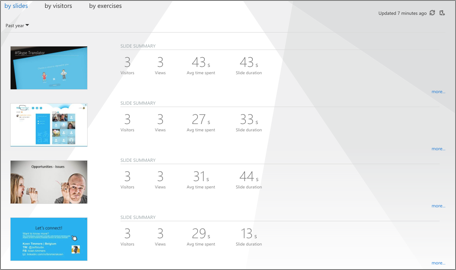 The Analytics button allows you to take a look at some statistics: how many people (even who) took a look at your presentation, for how long, etc. Obviously Office Mix offers a lot of educational opportunities: providing explanations to your static slides, creating Screencasts which allows students to gain extra knowledge or to catch up.